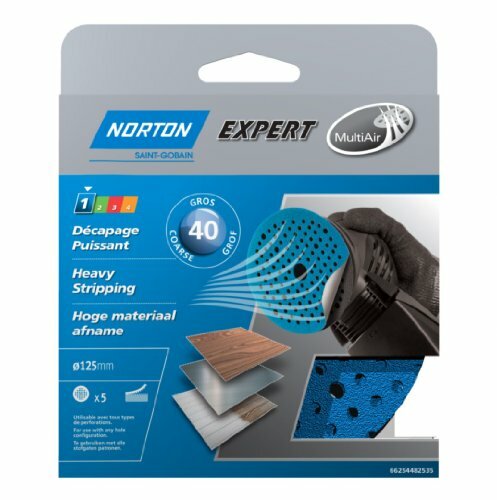 High-quality corundum sharpening self-adhesive sandpaper multi-perforations For Dry Sanding On Wood, Engineered Stone, paints and metals. Disc Diameter: 125 mm, Grit: 40. To be used on a wide range of machine with perforations.